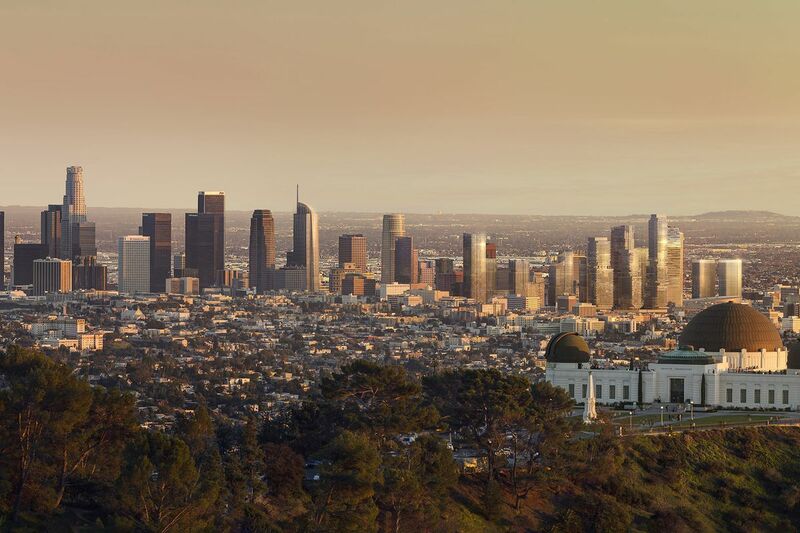 VISUALHOUSE › IMAGINING DOWNTOWN LA’S SKYLINE IN 2030 | We envision design and evoke desire. There are so many tall buildings in the works in Downtown LA that it’s hard to keep track of them, let alone imagine how they might appear in the skyline when they’re all complete. But a new rendering from creative agency Visualhouse makes it easier to envision how projects such as Oceanwide Plaza, Metropolis, Olympia, and Circa might change the way that Los Angeles looks from a distance. The skyline rendering is Visualhouse’s first of Los Angeles; it has done similar visualizations for New York and Miami. The LA image depicts the most iconic projects in the downtown area right now, Visualhouse founder and CEO Robert Herrick tells Curbed. Most, such as Oceanwide Plaza and Metropolis, are currently under construction. All should be complete by 2030, Herrick says. The visualization doesn’t include a slew of skyscrapers that are in various stages of the planning process. Those include the 66-story tower planned for a parking lot north of the Hotel Figueroa and the 60-story tower planned for the car wash site south of the Hotel Figueroa.